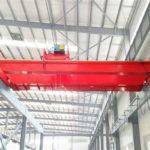 The bridges of industrial overhead crane run longitudinally along the rails on both sides of the elevated bridges, and can fully utilize the space under the bridges to lift materials. It is widely used in many working conditions. 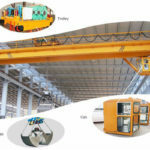 The most numerous types of crane is industrial crane equipment. It is also a large-scale equipment that is used most frequently in the factory and industry to lift heavy objects. The crane is the important tool and equipment for mechanization and automation of the working process in modern industrial production and crane transportation. 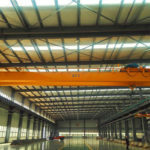 Apart from the industrial overhead crane, our company has other overhead crane types, such as factory overhead crane, European series overhead crane, overhead crane with hook etc. They have different operation foundations and can meet the customers’ requirements. They can be widely used in factories, docks, indoor and outdoor warehouses, and open storage yards. Of course, if you need special crane equipment, our firm can help you make the non-design product about crane. The industrial cranes have the characteristics of high site utilization, large operating range, wide adaptability, and versatility. 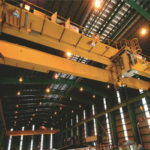 Are you looking for the industrial overhead cranes? When you meet Weihua , why not choose our products? From the standpoint of technological development of bridge cranes, although new products emerge in an endless stream and they have improved in terms of production efficiency, ease of operation, ease of maintenance, and reliable operation, the basic technology of crane equipment has not fundamentally changed. 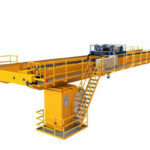 The research of bridge cranes is moving toward modular development. The so-called modular style is based on the crane structure. 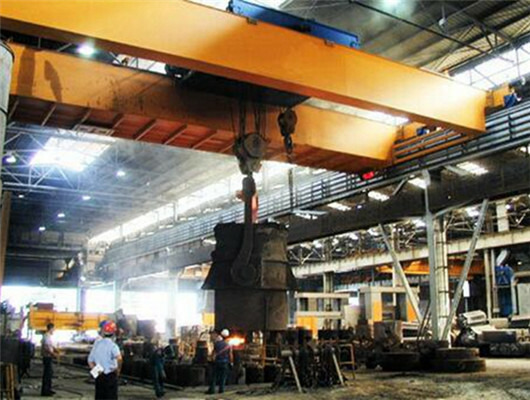 According to the structure and functional characteristics, the overhead crane is decomposed into several parts. According to the serialization and generalization requirements, the various parts are divided into several modules depending on the principle of modulus system. According to the requirements of the parameters, appropriate modules are used to form equipment with different technical performance characteristics, which can meet the specific needs of the construction. The implementation of modular bridge cranes will help operator speed up product development and save product development costs, which will better serve customers. About the industrial overhead crane safety, Weihua adds other parts to help user easily and simply operate. For example, the users can adopt the remote controller or driver’s controlling room. The operator has a good vision in driver’s room by the safety equipment. There are some safe warning devices. When it comes to risk conditions, the parts can give reasonable signals. If the customers have other requirements, you can contact us. We will spare no effort to help you. 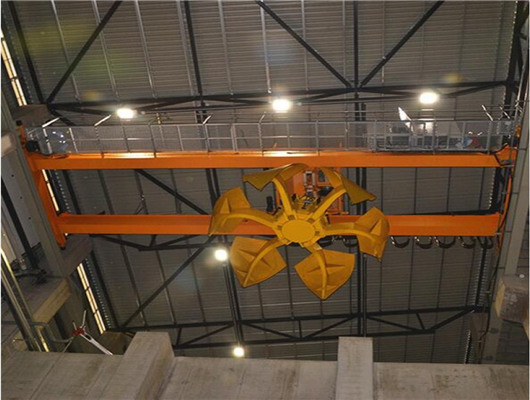 The industrial overhead crane has many advantages and adopts many advanced technologies. Our group adopts the remote controller to help user operate the crane equipment. You can also choose the cabin controlling. According to the utilization and loading condition, the entrance of cabin has three ways from side, end and top types. The installation ways have two types. According to the convenience, you can choose the left and right side. If you have some need, you can combine into cabin controlling and remote controller. 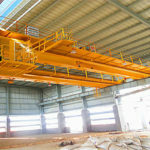 Industrial overhead cranes are the lifting equipment and suitable for many sites. 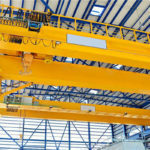 Our company’s experts summarize lots of advantages including the reliability, versatility, and low price of domestically-manufactured cranes who combine with advanced technologies of various cranes. This crane has the characteristics of compact structure, light weight, energy saving, low noise, etc. According to the requirements of the characteristics for bridge cranes, the usage of the products has clear market requirements. 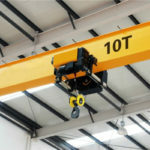 If you want to learn more information about industrial overhead crane, you can call or email us. In the era of high-speed development of industry, cranes are the highlights in construction machinery in China. Different types of crane such as bridge cranes can be applied to different construction sites according to their different characteristics. We will often see them in construction sites, docks, open material yards, warehouses, factories and other places. Especially for the industrial crane, it is very popular about many countries. In addition, the routine maintenance and repair of the industrial bridge crane is also the basis for ensuring its normal and high efficiency work. If it is done well during this period, which extends the subsequent maintenance interval, and reduces the workload. It improves the productivity of the equipment and will greatly promote the operation. These advantages increase the crane working productivity and improves operation process. Double girder bridge crane has two trolleys, which can be used at the same time or can be used alone. It is suitable for lifting long pieces of materials in workshops or open-air warehouses of factories. 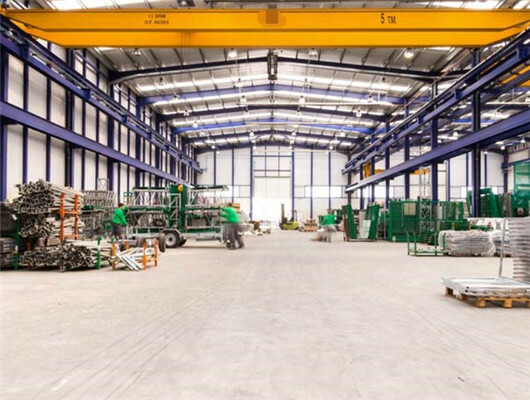 Our company’s double girder overhead cranes are based on lightweight and modular design concepts as well as advanced manufacturing processes, which makes the entire crane compact in structure, smooth in operation, lighter in weight, and lower in height. What’s more, it can save energy and have good performance. The industrial bridge crane greatly reduces the construction cost and and improves the crane’s quality and running performance. In the coming days, this product will become the mainstream of crane development trends and market demand. After more than 30 years of development, Weihua has now become a large-scale equipment manufacturing enterprise integrating R&D, design, manufacturing, sales, installation, service, and import and export business. The firm promotes advanced equipment and enhances the manufacturing concept, which ensures product quality and good service. Our company inherits the development concept of combining independent innovation with production, study and research. The independently developing industrial standard series overhead crane has a low height, light weight, and small wheel pressure, which significantly reduces the cost of user’s construction. When you want to learn more advantages about the industrial overhead crane from our company, please get in touch with us. If you have spare time, you can visit our factory in China, and you will get the suitable crane product from out company with very competitive price.